Following part one of my search for a great roast lunch I found some pretty good candidates. In the interests of research I have vowed to venture out once more to add to that list. The Ned Ludd is a stone’s throw away from me and the small but well formed venue seemed a good place to start. Its sister restaurant the Cross Keys fared the least favourably in my Roast with the Most review so I was keen to see what the newest addition to the great Great Northern Inn group had to offer. You get 1 course for £10, 2 for £13 and all 3 for £17. It took some time after entering to actually obtain the separate Sunday lunch menu, and by the time we actually ordered it had felt quite the wait. 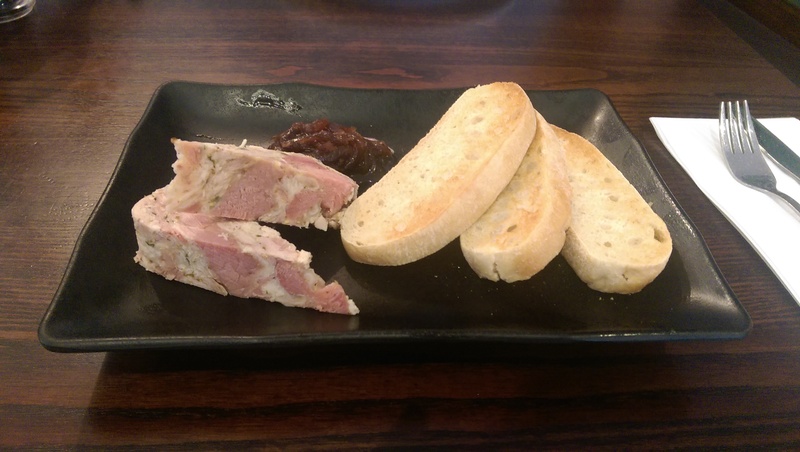 A ham hock and chicken terrine meant I at least got to eat something so I was happy enough. Chunky and course meat was well seasoned but I had expected more from the stout chutney, the taste more like sweet onion. For a Sunday roast my main of choice is usually beef, beef and more beef. The option here was slow cooked rather than some slices from a joint. A further wait ensued, someone did come to apologise and mentioned something about Yorkshire puddings…well I suppose they can be tricky little buggers. When it finally did emerge the presentation surprised as the beef was in a little pot to itself, although that did serve to hold plenty of the gravy. The gravy that was really the triumph of the meal, the stouty flavour that hadn’t been present in the chutney was standing out here. The beef was tender and fell apart, as would you when cooked for 48 hours. Veg was good if nothing to write home about and potatoes had a good crisp although a little greasy. The chief disappointment was the Yorkshire which had kept us waiting. A limp doughy effort it really failed to measure up and let down the dish of the dish. 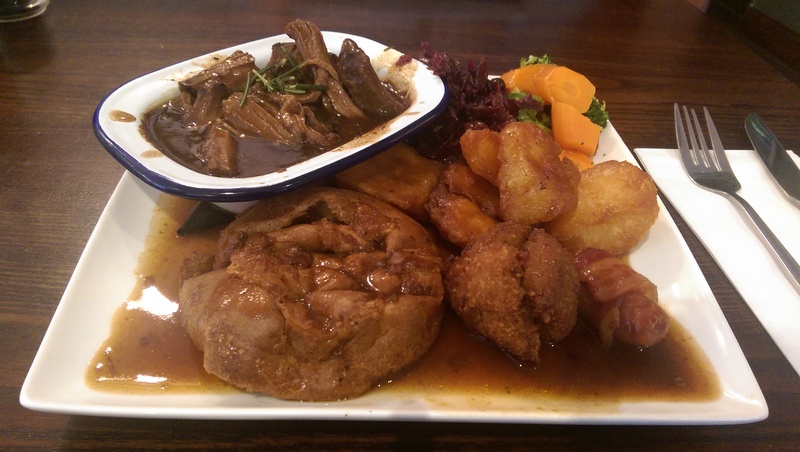 A difficult one to score, I’d give the gravy a standalone 8/10 and the beef was really enjoyable. As that is the main component I’ll be generous. I’m afraid I can’t be as generous though on the service. We know Sunday is a day of rest, 45mins between starter and main just pushed that theory a little too far. Thanks for sharing this. 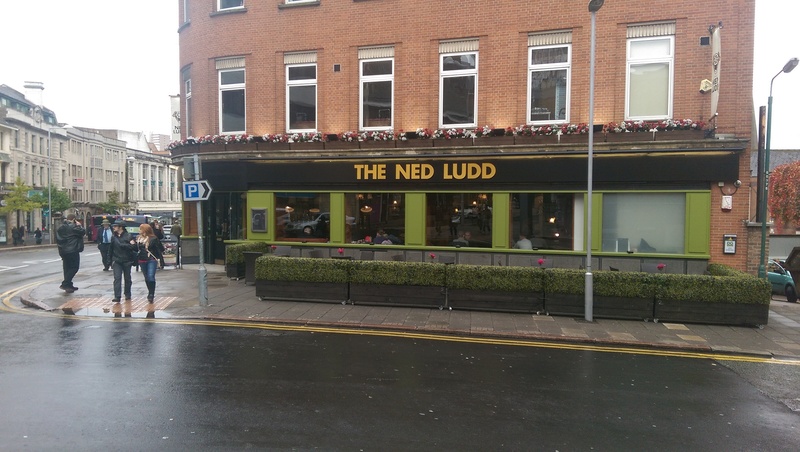 I have visited The Ned Ludd several times. I am still unsure what it is exactly. It vigorously advertises it’s craft beers but doesn’t encourage beer drinkers as customers are pressured into eating. The prices are not encouraging either. It started well but went downhill very fast (including the food). I love ‘craft beers’ but they vastly overprice them.